On this page you will be able to view the many different services we have. You can check out all the sites to find out how you can earn cash by referring our different services. Below are the different services you can earn cash from! home loan or mortgage and need some expert HELP? 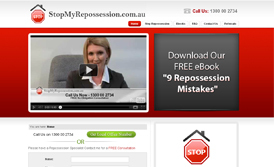 being repossessed? We can help stop this happening! and would like help with this problem? loan? We pride ourselves on getting loans others can't. like to sell it or have a new home built for them for FREE? property and would like to save $1,000's in commissions? from saving $1,000's in Business Broker Commissions? and would like to save $1,000's in building costs? or assessment and would like to save money? Fill out an application form to join the program. WHO IS ELIGIBLE TO EARN REFERRAL CASH? Everyone! Even if it is a direct family member, we will still give you a referral fee. All you have to do is join, get you referrer's ID and start referring people. What do I do when I have someone to refer for 1 of your services? All you need to do is come to the site and click on the " Make A Referral" tab. Once you have done this, the address and name will be connected to your Referrer's ID. When do I get paid my referral fee? Depending on which service you refer, will depend on when you get paid. Yes. But you can choose if you would like someone else to be paid on your behalf. Do I have different options on how I get paid? You can get paid numerous ways. By either cash in your account, a cheque or for some of the smaller referral sums, you can get a gift voucher from Bunnings if you like. Many people who do referrals chose to give some of the money or all of the money to a club or charity of their choice. The choice is yours!